New York, NY – Like many New Yorkers, we at the National Institute for Reproductive Health are still reeling from the news that several women have accused Eric Schneiderman of a repeated pattern of violence and abuse. 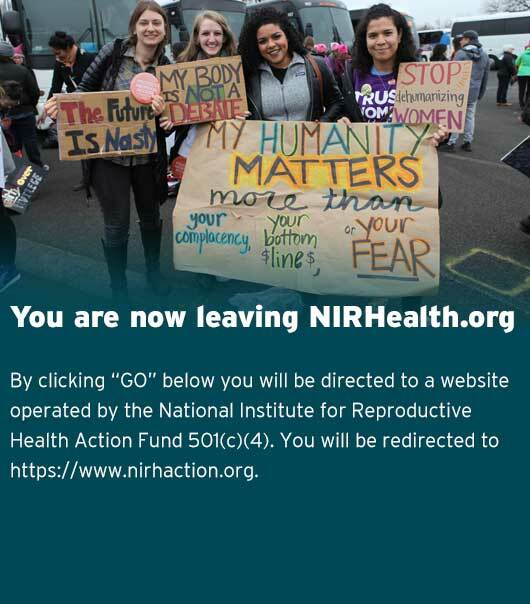 NIRH’s mission to advance reproductive freedom is based on trusting women, always. And that is what we must do now. We firmly believe that no amount of public support for women’s rights can ever excuse private abuse against women. Domestic violence and restricting reproductive rights have the same root cause: the desire to control women and their bodies. We will never stand for that. In the past, NIRH has applauded Schneiderman’s history of using his office to expand access to contraception and abortion care for New Yorkers — which is why we honored him at our annual luncheon last week. We now revoke and rescind the Champion of Choice honor we bestowed upon him. Looking forward, we’re working hard to ensure that New York’s next Attorney General is someone who will advance reproductive freedom vigorously, proudly, and with the integrity we should expect from our public officials. New York, NY – We are appalled and horrified to learn about the violent behavior ascribed to Eric Schneiderman. This is especially disappointing given his long history of advocacy and action in support of women’s rights. We believe it is our collective duty to trust women. It takes extraordinary courage to come forward with allegations of this magnitude — we hope they are taken seriously and that justice is served.